In order to strengthen the mental concentration during “SALAH” (Islamic Prayer), it is necessary for praying area to be free from distractions. You can be more at ease while praying when there are no mess or work surrounding you. We generally focus on the décor tips of various areas of the house such as sitting rooms, dining rooms, guest rooms, and many more but generally we neglect or do not focus on decorating Islamic prayer room. This may be because while planning for our interior design we usually neglect the necessities of home décor in Islamic way. A question may arise in mind as “Why there is a need of specific prayer room when you can pray anywhere where it is allowed under the Islamic Sharia laws? This can have various answers. Let’s have a look at them. Also Read: Tips to Decorate Pooja Room in Your House! It is obligatory for all Muslims to pray five times a day. At least quarter part of the day is utilized collectively for daily prayers and reciting Quran. But hardly any special room is provided for this purpose. Reasons may be many, but the important one may be lack of sufficient room space. For prayer and other related activities, various accessories such as praying rugs, tasbih(rosary), praying caps, The Holy Book Quran and various Islamic essential literature books are required. So, a special room is needed for keeping all these necessary accessories so whenever the time of prayer has started or when one wants to recite the Holy Book Quran or read Islamic books, they can have access to all of these with quite ease and without difficulty. This would also help in saving the time utilized for collecting the accessories and arranging things again and again which in result can lead to increase in time for praying and Quran recitation. Concentration and privacy both are needed for a proper prayer. 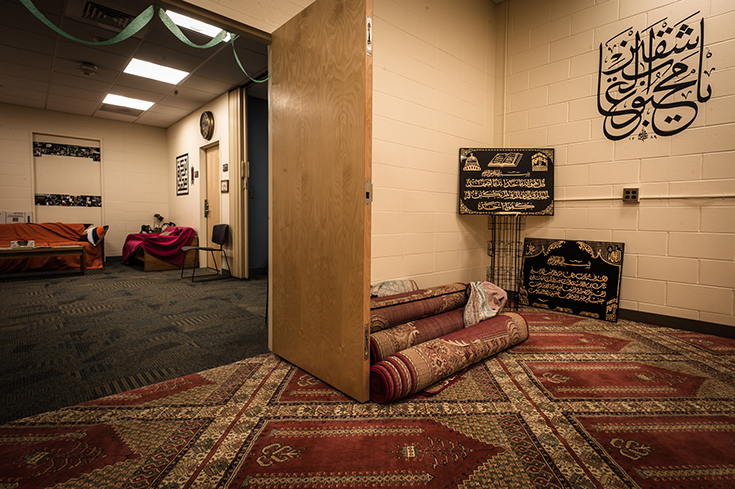 A prayer room helps in providing us an isolated place where is no noise or very less disturbances in order to have concentration and disturb-free prayer session. This will help in creating a spiritual environment and benefits which is otherwise not possible or you can’t think of while praying in the areas where there is hustle-bustle and disturbances of family gatherings in areas such as living room, sitting room or even bedrooms. Also Read: 10 Simple Steps for Setting Up Your Meditation Room! Homes in which there are small children, they hardly allow their mothers to concentrate while praying. They keep on popping and roaming around with their shoes which leads to spoiling of the rugs. It will be a blessing in such situation opting for a separate Islamic prayer room. This way it will provide a place where you can stay detached from your kids while praying and also maintain the holiness of the praying place. During any Islamic or general family occasions, there can be arrangement for combined prayer programs known as “JAMAAT” or any Islamic get-together where various religious activities such as recitation of The Holy Book Quran, praising of the ALLAH ALMIGHTY (HAMD), His PROPHET (ﷺ)(NAAT SHARIF), Companions of PROPHET (ﷺ), VALIYULLAH(Friends of ALLAH ALMIGHTY)(MANQABAT) or any Islamic speeches or Islamic learning sessions. This is “Sadqua-e-Jaaria” and these activities can be carried out in the prayer room easily and smoothly without disturbing other areas of the house. Also Read: 10+ Stunning DIY Vase Ideas For Your Home Decor! 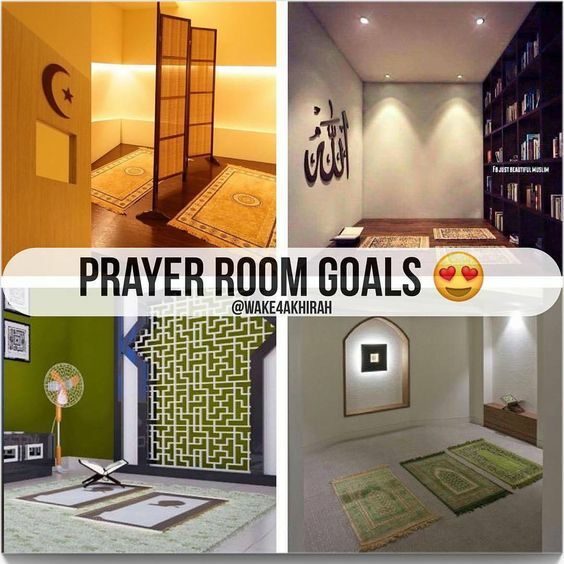 We have discussed above the necessity of a pray room décor in an Islamic home. Now let us discuss some of the décor tips for the prayer room. Listed below are some of the easy tips for it. Let’s have a look at it. Qibla direction should be clearly specified before designing of Islamic prayer room as it is the most important criteria. Muslims face towards Qibla while praying so this will be a guiding feature for the placement of praying rugs. The area provided for praying should be bit isolated from the noisy areas of the home such as living room. There should be an attached powder room for ablution process. Provision of fixtures for ablution such as sitting place and sink bowl are easily available in the market. Provision of alcohol-free perfumes and clean towel should be done in the room. In order to use the space for combined prayers(JAMAAT), when needed, the praying rugs should be placed in a symmetrical order. It is recommended to carpet the room from wall to wall and then place the rugs accordingly. There are some of them who cannot pray in standing position, so it is beneficial to place few folding stools or elevated seats so they can pray easily taking use of them. Arrangement of air freshener which is alcohol-free such as incense sticks, oudh or a can of lavender or vanilla in order to have a good fragrance all around while praying. Decorative wall shelves which can be useful for placing The Holy Book Quran and other Islamic books collection should be provided. Special arrangement of sitting should be made in the room corners laid with floor cushions and smaller benches for keeping Islamic books. Also Read: 10+ Ways to Increase the Storage Space in Your House! On the entrance and outside of pray room, a small decorative shoe rack can be placed for putting shoes before entering. Walls can be decorated by installing wall hangings of Quranic verses calligraphy and also photos of sacred place having Islamic importance. Hung them on the side of the walls not in the front. Keep in mind that the images of sacred places hung should not contain human figures in that. Arrangement for listening the recitation of the Holy Book and its translation in form of audio books or other Islamic audio material should be made which may be a good fit to the room décor. Also Read: 10+ tips to Convert your Small Looking Living Room into Bigger! Decorative box for storing of Islamic caps, turban and tasbeeh; tasbeeh can also be hung on wall by providing decorative hook or nail. Little baskets and boxes can be also used for storing different “dua” books that are not used frequently. Keep some of them in your view reach so you are more inclined to read them when they are in front of you. Attars or non-alcoholic perfumes for use on clothes may also be stored on shelves to use it before-hand before praying, if you have not applied. Above listed were just some of the suggestions which I knew to make the prayer room an attractive area. While we can pray almost anywhere, where the Islamic principles and rulings allows, choosing a special spot in the home devoted to prayer will create a feeling of performing the prayer in a peaceful and calm manner. If you have a large home and space allows the provision of special prayer room, create it so you can perform prayers and various Islamic activities peacefully and smoothly. If you think some points are missed out or you have some tips to share with us, you can comment in the box below, if any. 15 Inspiring Mirror Decor Ideas For Your Home Interior! 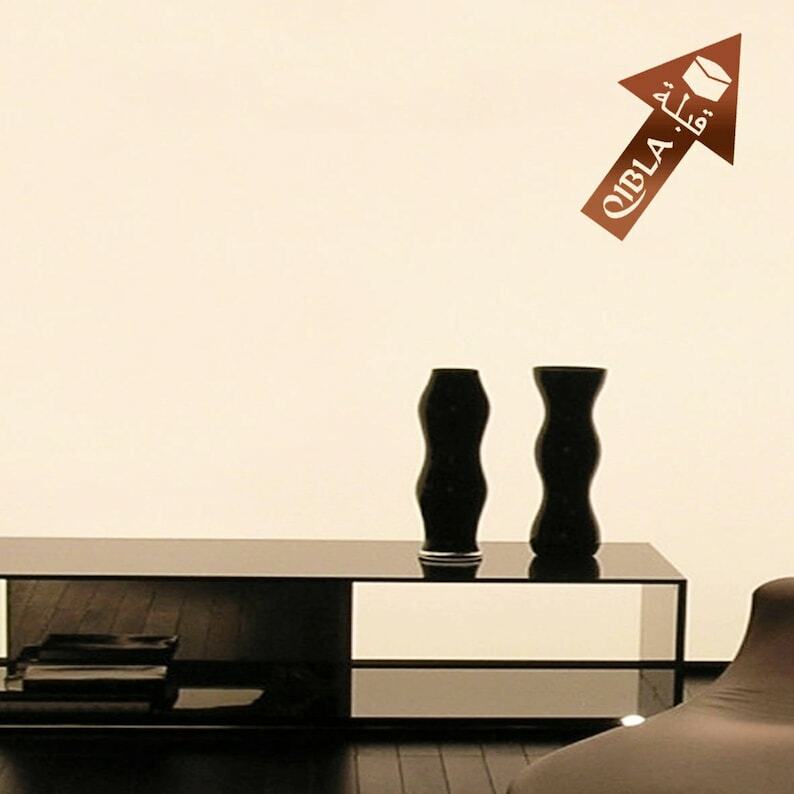 3D Wallpaper Decor That Add Depth To Your Tiny Room! 15 Tips To Design Bathroom In Your House! Previous PostPrevious Retaining Wall | A complete Basic Guide.